I got a little nervous that something was wrong when I go a notice from my Internet service provider, Cox Cable, saying that I had hit my monthly download cap. 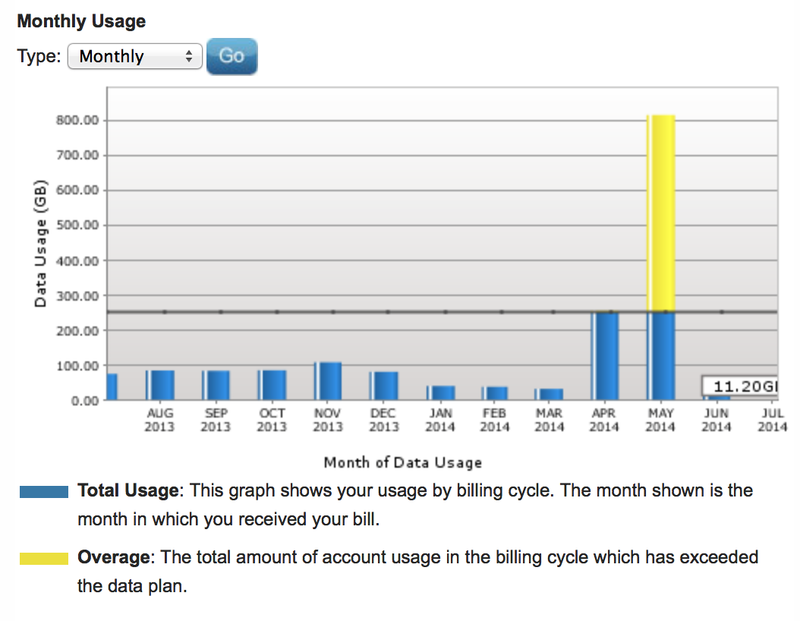 If you don’t know, most Internet services allow a monthly limit of data that you can download each month. Even if it’s not advertised, most services usually have a data cap in there somewhere. 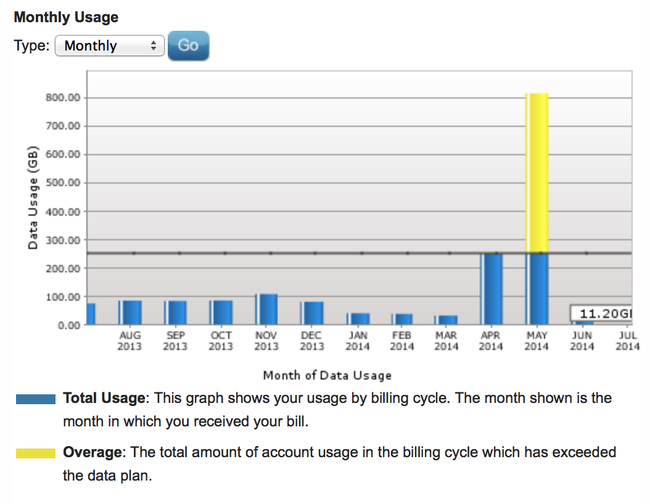 With the particular speed of service I’m signed up for I get 250GB/month. That data allotment has always been enough in the past, even streaming all TV, movies, music and having 10+ connected devices in the house. When I received the email from Cox Cable, the first thing I assumed was a rogue WiFi guest doing something they shouldn’t be doing. So I immediately changed my router’s administrator password and wireless password and turned off guest access. I checked my wife’s Windows 8 computer which tracks data usage – nothing there. I installed little snitch on my Mac and didn’t find any rogue data flowing in or out. 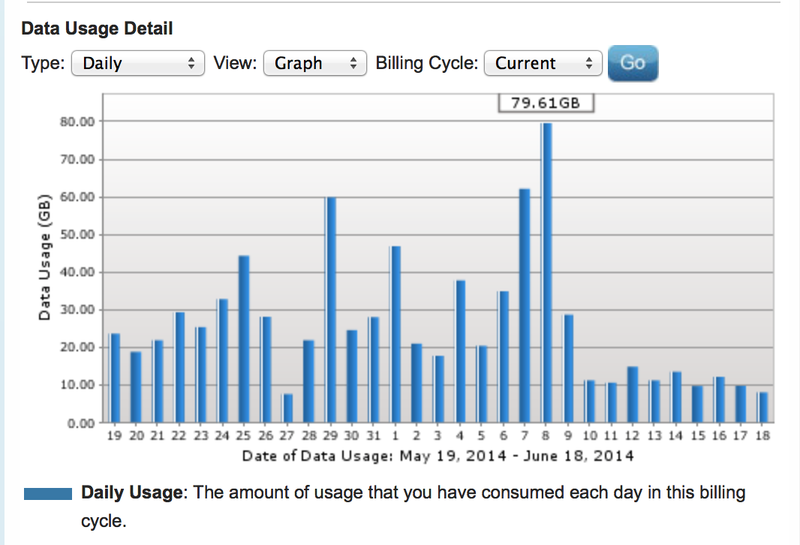 The next day I checked the data use and the tool actually said usage went up to its peak of ~80GB in one day. Out of desperation I unplugged the Amazon Fire TV I had been testing and reconnected a Roku streaming media box. Magically, the problem went away. This seemed weird until I went back through some of the Fire TV’s features and realized ASAP – the feature to predictively cache shows you watch – was the culprit. Some of the initial criticism of this feature was the creepiness of Amazon actively learning your viewing habits, but it turns out ASAP is a data hog. The worst part? There’s no way to turn this feature off. The Fire TV is fast, its large picture visual UI makes Apple TV and Roku feel ancient, and yet I still can’t use the box because it consumes too much data. Addition: This also could be a combination of Prime streaming video service and the Fire TV. While I can’t find anyone else with the same issues, I did find a few people across random sites mentioning that Amazon’s Prime video service was aggressive with its display quality and pulling in about 10x that of Netflix. The Fire TV is still new, however, so we might begin to see more about this issue over time. Update: 6/23/14 Amazon got in touch and is looking into possible issues. Update: 6/30/14 Amazon says that it is not an issue with ASAP, but rather a bug with the screen saver images. We have confirmed this issue was not caused by ASAP. You’ve helped us find an edge case bug related to our screensaver – there is a small possibility if a customer uses the “mosaic” feature (not the default setting) on the screensaver images will not be cached. We’re working on a software update that will fix this bug, and in the meantime you can turn off the mosaic view for the screensaver to avoid the issue.